We’re going to talk about communication skills. 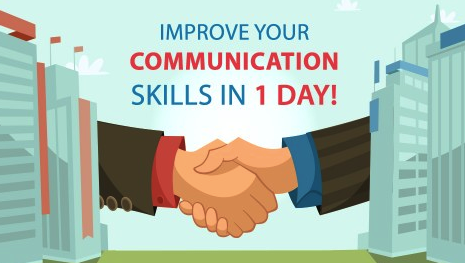 Could improving you’re communication skills get you to the next level of success in your life? How big a part of our lives is communication? How Much Communication Do We Actually Do? I want to share a few stats with you that really does open your eyes to how big a deal this is. The first one is about speaking. How many words per day do we talk? Well, the average person speaks between 10,000 and 20,000 words per day. That’s a lot of communication from one person interacting with other people every single day! Another stat that I came across is about emailing. 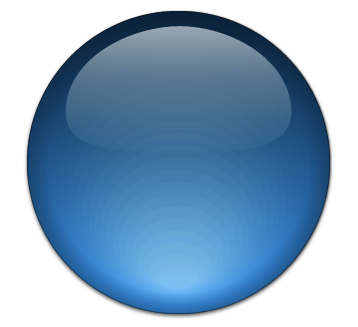 In the business world, business emails amount to an estimated 210 billion emails being sent every day last year. So that’s every single day – businesses send 210 billion emails. Now if you forget all of the other nonverbal communication and just go with spoken word and written email – even with those two on there own that is a huge amount of information to communicate. We all do it so much, we must be good at it right? I want to share another statistic that I recently came across which is very interesting. 1000 people were asked if they were good drivers, of that 1000 drivers 69% rated themselves as excellent. I’ve heard these sort of stats before, and I’m sure you’ve come across these types of studies as well. 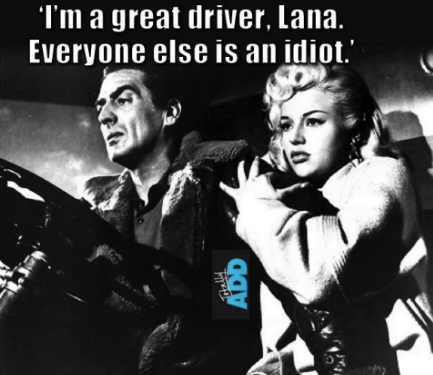 Everyone thinks they’re a good driver and this study backs this up. However, the difference is in this study they drilled down and asked further questions in the survey. Others had anxiety about driving in poor weather conditions and on fast roads and motorways. So if you take those four admissions, its fair to say they don’t really go hand and hand with excellent drivers! Excellent by its term, means in the top percentile. So, maybe 10% of people can be excellent, which means 59% of those people must be wrong. There’s no surprise there, not everyone’s a good driver. But its interesting because it relates to our views and beliefs in the world of communication as well. How does this driving survey relate to communication? 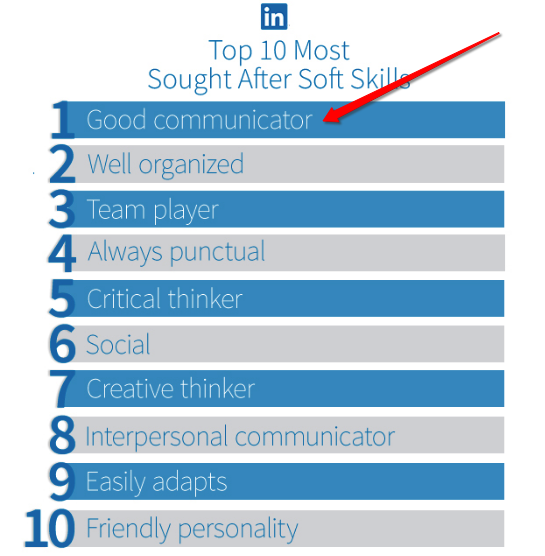 Anyone who’s got supervisor, manager, head of a department, some position of authority – nearly everyone lists communication as a skill they’re good at. Yet when you ask them to back this up, how many days training have you had? Or even how many hours training have you had in communication? Most people will say ZERO! Not a single day! They’ve had no training and this creates a problem. The bar is set very low. There’s just not that many good communicators out there. It’s the problem that people don’t know they have. So no one’s even trying to be better. This comes at a massive cost. If you go back to the stats I listed earlier, 10,000-20,000 words per day and 138 billion emails in business sent per day – that’s a lot of communication. And if you’re not very good at communicating or there’s gaps in your communication skills, then clearly you could be more productive, and that does directly translate to cost. And it costs organisations in £££ so there’s a cost of billions in terms of lost productivity. It also costs us as individuals as well because we waste an awful lot of our time through poor communication. And when we waste our time we’re less productive which means we’re less valuable to our businesses. So a more productive communicator is far more valuable to a business then a less productive communicator because they can get more done. When people communicate well the world’s just a better place. Jack Welch in his book Straight From the Gut, talks a lot about the importance of honesty to move things forward. I’ve observed the kind of honesty he is talking about and it is powerful. You absolutely do need honesty but you have to balance this out with fairness and respect. When you get honesty balanced with fairness and respect you’ll make a difference and you’ll move things forward. If you haven’t read Jack Welch’s book, I’d really recommend it! We’ve talked about how big a part in our lives communication really is. We’ve also talked about the hidden problem organisations and people don’t know they have. We’ve talked about how the world would be a much better place, there’d be a lot more fairness, honesty, and respect in the world if people were better at communicating. We’ve also talked about the cost. The cost to organisations and the billions in lost £££. And the cost to the individual being a loss of time. You’re not as productive as you could be and because you’re not as productive you are not as valuable to your organisation as you want to be. This is potentially holding you back from getting to the next level of success in your life. If you want to learn how to level up your communication skills check out some of the videos on the site or visit our Communication hub.